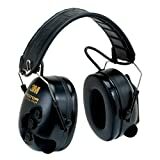 / What are the best Electronic Earmuffs? The best electronic earmuffs need not be defined by their price tag; some good-quality products come in less than $50 while some can go beyond $300. The quality of each earmuff varies, and customers wouldn’t know which one works for them unless they have tried a handful. It may be a difficult game of trial and error, but once you find the one for you, you don’t have to look back. It’s also noteworthy to check on the materials used, the reputation of the company, and their good customer support. To help you decide for earmuffs that will work for you, we have listed three best-rated ones on Amazon that is worth checking. ​These earmuffs come with microphones that amplify conversation and commands through one single volume control knob. 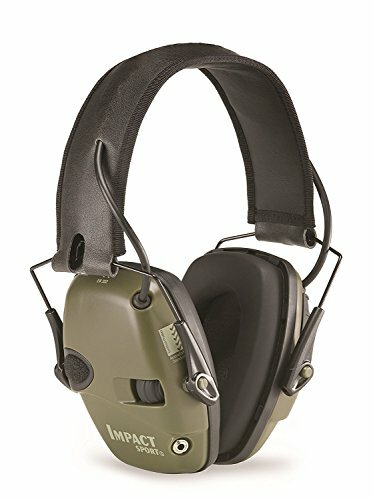 This is helpful for hunting where you’ll want to keep your ears protected from loud, damaging gunshot sound while still being able to effectively hear everything around you. It automatically blocks noise above 82 dB with its noise reduction rating of NRR 22. Hunters would love its sleek, low profile ear cup design that steers clear from the traditional huge cup that looks like it has been spawned in the 1980’s. This one looks like it has been created by a minimalist designer, making you stand out in your band of hunters. The muffs come in black, blue, red, and hunter green and have an adjustable headband for a secure, non-slip fit. To aid you in your quest for game, it is equipped with Impact Sport to capture low-level sound. This technology employs built-in microphones that amplify range commands and other important sounds that come out in clear directional hearing in stereo. You need not worry about it capturing loud sounds that can damage your hearing because it automatically shuts off noise above 82 decibels. And to top all these pros, the price is really affordable compared to other earmuffs that go beyond the $100 price tag. It does its job well and lasts years without requiring you to shed a too much hard-earned bucks. Some reviewers complained about these muffs’ poor sealing ability as some could still hear loud noise, especially when used in an indoor shooting range. If you aren’t sure about the capacity of an earmuff to protect, it’s better to try it beforehand. 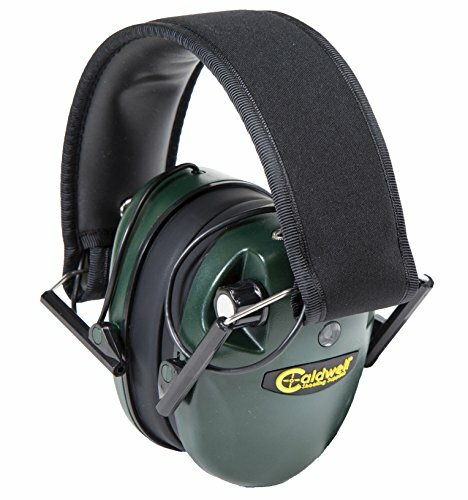 With an aim to help hunters and shooters hear ambient sound, conversation, and movement around them, Caldwell designed this low profile electronic muffs that amplifies environmental sounds from 0 to 20 dB. To protect the shooter’s ears, they made it so the muffs shut down the microphone for noise above 85 dB. It comes with two microphones, one volume control, fully padded adjustable headband, and cushioned ear cups. This muffs is designed specifically for shotgun and action shooters. It has a noise reduction rating of 23 and is powered by 2 AA batteries. Priced just a little above 20 bucks is something that many owners have been happy about because at this price, they’re able to use it effectively for long periods. Some has deduced that it’s capable of lasting them years without problem. The muffs are also very comfortable to wear; users have no complaint about wearing it continuously for hours. It’s also quite compact and fits easily in your range bag without you having to worry about it getting squeezed or deformed. Some owners have complained about the lag in shutting off the sound of gunshots after a while. Some say that it turns off the sound already after the shot has been fired. If this happens, the earmuffs are considered useless as isn’t effective at protecting your hearing anymore. The most expensive out of the bunch here in this article, this 3M Peltor muffs have a noise reduction rating of 26 dB and can block over 82 dBA within 2 milliseconds. The active volume provides maximum distortion free amplification low level sounds up to 18 dBA while the Omni-directional stereo microphones provide 360-degree external ambient listening so you can join in conversations, hear movement, and environmental sounds without having to put your ears at risk due to loud gunshots. These earmuffs feature a very comfortable liquid gel filled ear cushions with a folding steel band that is padded for comfort. It is also equipped with an ergonomic 3-button touchpad that makes it easy for you to locate the buttons. It comes with a jack for radio connections but you have to purchase a $25 - $30 special cable to attach your mp3 player. Customer service is spot on, as you would expect for this product that costs close to $200. When a customer complained about receiving deformed muff cushion, 3M immediately responded by sending the customer a complete hygiene kit at no charge which includes a set of new cushions along with inner sound deadening interiors. ​A handful of customers complained about receiving defective products out of the box, which left them to deduce about Amazon or 3M’s poor quality control. Some returned a defective item, only to receive another defective item. For earmuffs that cost almost $200, customers are expecting top-notch quality control. Electronic earmuffs are good investment especially if you are an avid shooter or hunter who finds yourself always in the middle of the wild or in a shooting range every time you can. This is because earmuffs are capable of protecting your ears against permanent hearing damage or loss. Most gunshot sounds go over 150 dB, far from what the normal decibel our ears can take. Before purchasing your electronic earmuffs, always check its noise reduction rating to ensure that it’s suitable for the extent of noise you will be experiencing. ​You may check out this related article,"​What are the best Shooting Ear Protections?" for more ​​shooting ear protection choices.